"The increasing pull of children was weighed against women's solid sense of identification with their careers and the heavy investment they had made in them. Women took pride in their professional accomplishment and tremendous pleasure from their work. 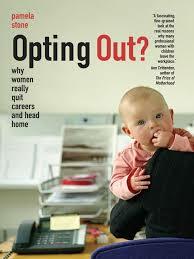 Wendy Friedman voiced the difficulty many women felt in making the decision and reflected on the variety of losses it entailed"
The book titled "Opting Out: Why women really quit careers and head home" by Pamela Stone (2007). Why that book? In recent years I have been trying to find the answer for the notion of why people who chose to go down the path of child-rearing tend to be perceived as isolated, particularly, isolated from the business and working world. We have been trying to break that notion, trying to balance child-rearing / work and involving our kids into things that we do everyday. I know some of my friends also tries to break away from the conventional norm of child-rearing / work separation, such as Ari Thalia Aina family. We know it is not easy. We concluded that the isolation emerges from the fact that most people take the child-rearing / work separation for granted, but also, because the modern working world run with rules that excludes child rearing. In this sense, people like Ari Thalia or me are economic externalities ( Why the Most Important Job in the World is Still the Least Valued). The women in the book were high achievers from ivy league universities, high flyer in their career, feminists, believers of equal parenting. Yet they decided to forgo their career to become a full time mothers. Why? The book outlines that there is mainly two driving forces. First, is the rise of "intensive parenting". In the past, parents are more concerned about whether or not their babies survive into later childhood. With advances in medical and nutritional technology (in line with Maslow's hierarchy), the focus of parenting shifts into providing quality care and education, this means parents are the best caregiver and as much as possible should spend time with children. On the other hand, the pressure to excel within the corporate structure has forces people to bank 50-80 hours work per week. To add to the problem, for women, the prime age to climb the corporate ladder coincides with the prime age for child rearing. 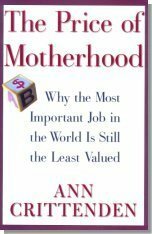 However, the book shows that it is not so much the first factor, that is the child-rearing factor, that pulls the mothers to quit from the job, but instead, it is the corporate world that is unwilling to accept compromises from parents with young children. The companies would freak out with the mothers proposal to work part time (at least for a few years), to work from home, to take emergency leave, and inability to work over time. For the corporations, it is all-or-nothing scenario, there is no in-between. Facing a win-lose option, mothers gave up. On a side note, my mom-in-law struck me with one sentence that makes me think twice about going back to work full time again. She said, "Kids grow up really fast. In a blink, my sons became teenagers and then they've gone out of the house. You only have FIFTEEN (or at the most, seventeen) years to spend with your kids before they live on their own". Fifteen years, that is, only one fifth of my whole life. And I don't want to miss that. Sure enough, last week Noe had just turned 3 years old. How time flies. But then again, people said, you need double income in order to survive in this harsh world. I'm not gonna tag anybody else.. if you feel like continuing this meme, go ahead and link back to this entry.. I'm really curious about the book. I'm not married yet, but I'm thinking about having four or five years (or more, hehe...) of working experience, then quit career and head home. It depends on who's my future husband, anyway. Not every women are lucky to have a husband who could provide everything, right?? As you wrote, this is a harsh world. I like this post ^_^.